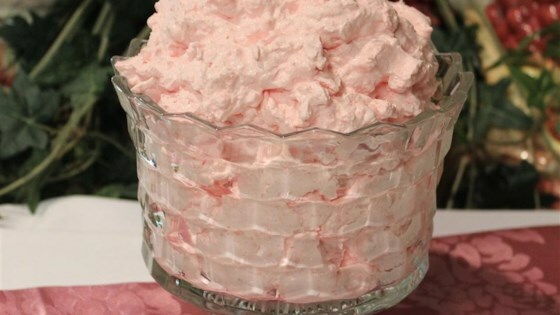 "This is the one Jell-O® salad I think of when the holidays roll around. There is always room for J-E-L-L-O!" Stir pineapple, cottage cheese, and whipped topping together in a bowl; sprinkle gelatin mix over the top and stir until well-mixed. Refrigerate until chilled and set, at least 2 hours. As a kid, we called it "Pink Stuff." I use strawberry jello with drained fruit cocktail & nuts with it. I used raspberry jello. amazing!! This was a summer staple at our house growing up. We used whatever flavor of Jell-o we had on hand. A super easy side dish that goes great with hot dogs on the grill. i was thinking of this salad today but didn't have cool whip, so i used plain Greek yogurt. It wasn't too bad!